This study has 11 sessions. 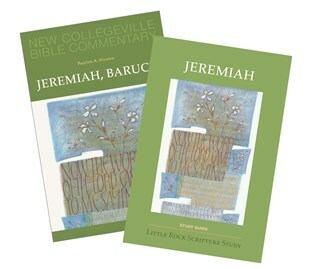 The study set includes the Study Guide by Clifford M. Yeary and Collegeville Bible Commentary Volume 14: Jeremiah, Baruch by Pauline A. Viviano. Pauline A. Viviano is an associate professor of theology at Loyola University Chicago. She received her doctorate in biblical languages and literature from St. Louis University. Besides articles in academic and popular journals her publications include reading guides for the books of Joshua Judges First and Second Samuel First and Second Kings and Ruth for the Catholic Study Bible published by Oxford University Press and Collegeville Bible Commentary Volume 2: Genesis (Liturgical Press 1985). In addition to university teaching she often lectures at parishes in and around Chicago.